Every third Friday of the month, Third Degree Glass Factory has a themed open house called "Third Fridays" that features glass art displays by local artists, glassblowing demonstrations, the opportunity to make a glass art project, live entertainment, and dinner for purchase from local caterers or from food trucks! It is FREE to attend Third Fridays but there are additional fees to create glass art projects. See website for more information. 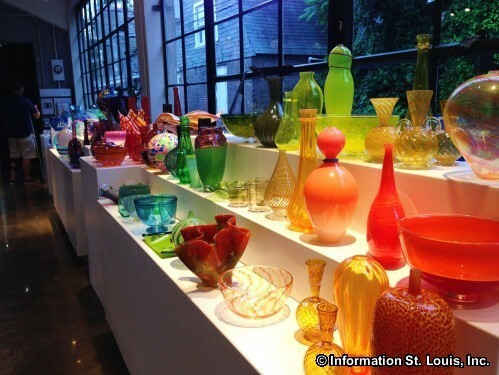 The Third Degree Glass Factory, the largest public glass art center in the St. Louis region, is housed in what was once an abandoned 1930's service station. It offers glass blowing classes, glass education classes, a place for glass artist to practice their craft, and gallery space for display and sale of artists work. A free open house called "Third Fridays" is held, you guessed it, every third Friday of each month. Special events are held throughout the year at this unique venue, but visitors are always welcome during regular hours. Directions: Located on Delmar Blvd, just east of Union Blvd and west of Kingshighway Blvd, in the Central West End Neighborhood of the City of St. Louis, Missouri.